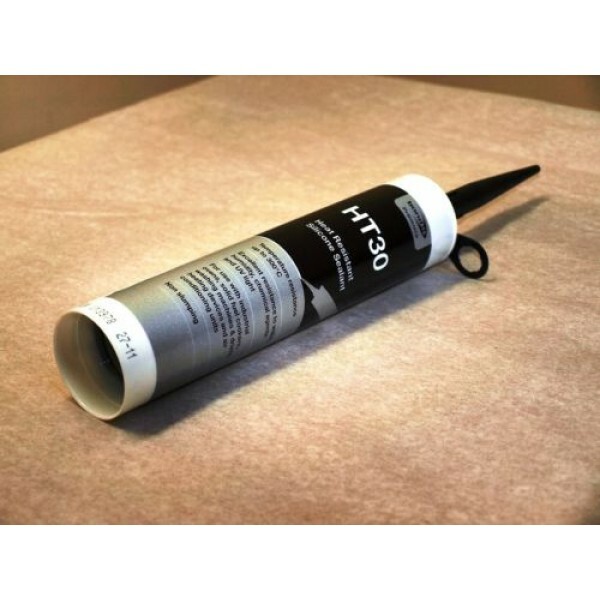 A ready to use, one component, acetic curing silicone sealant. HT30 is UV resistant and weatherproof and has been specifically designed for high temperature use. After curing HT30 will resist temperatures of 250oC permanently and up to 300oC for short periods. High Temperature resistance up to 300oC. 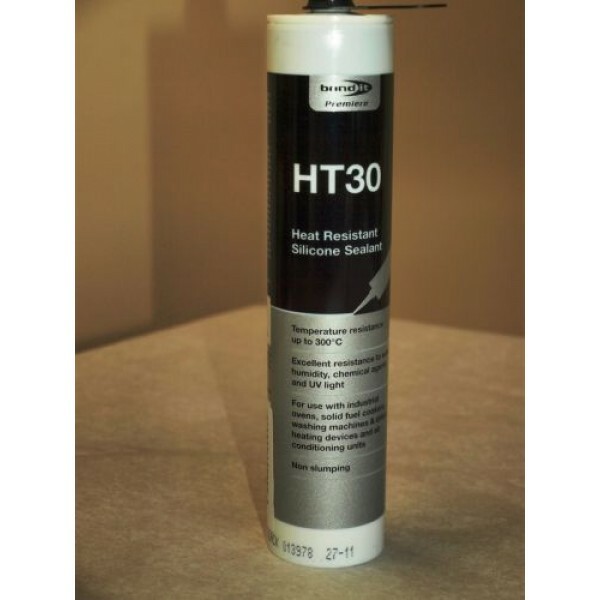 Bond It HT30 is generally used for sealing joints which are exposed to high temperatures, i.e. connections on ovens, heating systems, machines, car bodies (vicinity of engines), etc. HT30 does not loose it’s sealing properties under extreme conditions. Not suitable for use within 1 metre of wood burning stove flues. 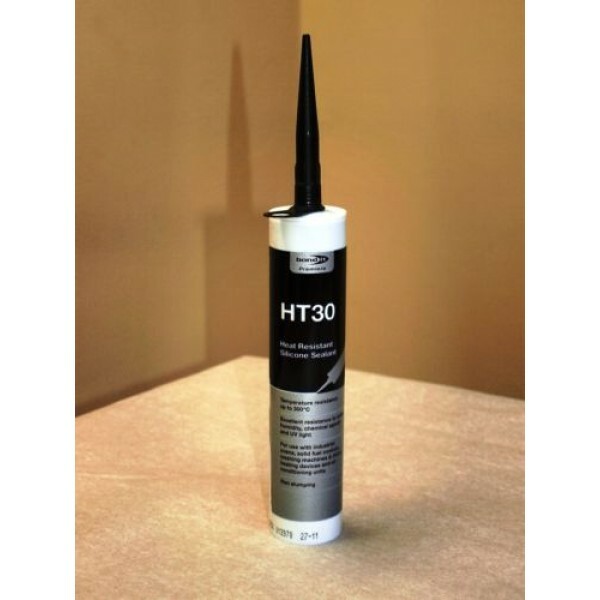 HT30 can be applied to glass, ceramic tiles, enamel, epoxy paint and polyester. It can also be used with polyamides, ABS, metals and polyester in immersion or humid heat, however, a primer may be required. Ensure all surfaces or joints are clean, dry and free from grease, oil or any other contaminants that may hinder adhesion. Primer may be required on certain absorbent surfaces. Apply using a standard sealant gun with the nozzle cut at an angle of 45°, and to an opening slightly larger than the joint to be sealed. Alternatively HT30 can be tooled with a finger or a thin piece of wood dipped in a tooling liquid. Avoid any contamination or mechanical pressure of the sealant before skinning process has completed. Cover sealant if it is necessary. Apply HT30 to one of the two parts to be assembled, then bring the two parts together. The sealant will start to cure on contact with atmospheric humidity. After 3 to 5 minutes exposure to air, it is no longer possible to “rework” the product. Curing can be accelerated by increasing temperature up to a maximum of 150oC dry heat.